Douno has been falsely convicted of molesting a woman on a train. He serves time in a group cell in prison, surrounded by inmates who are all suspicious in some way. Just as Douno's distrust of people reaches its peak, he is saved by the innocent kindness of his cellmate, Kitagawa. 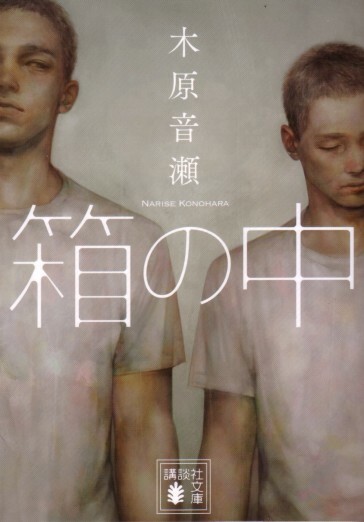 For Kitagawa, who is imprisoned as a murderer, this is the first time in his life that he feels the emotion of love. This complete edition encompasses the main work, "In the Box", as well as "Out of the Cage", which tells their story after their release from prison. *Used to be a special mail-order booklet for buyers of Ori no soto. Now for sale as an e-book. 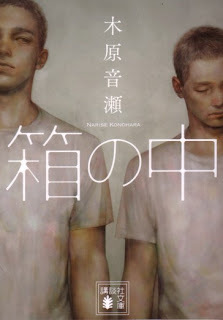 In the Box / Hako no naka (Kodansha) This is my copy. After the main volume, my translations will follow the chronological order of the plot (not publication).